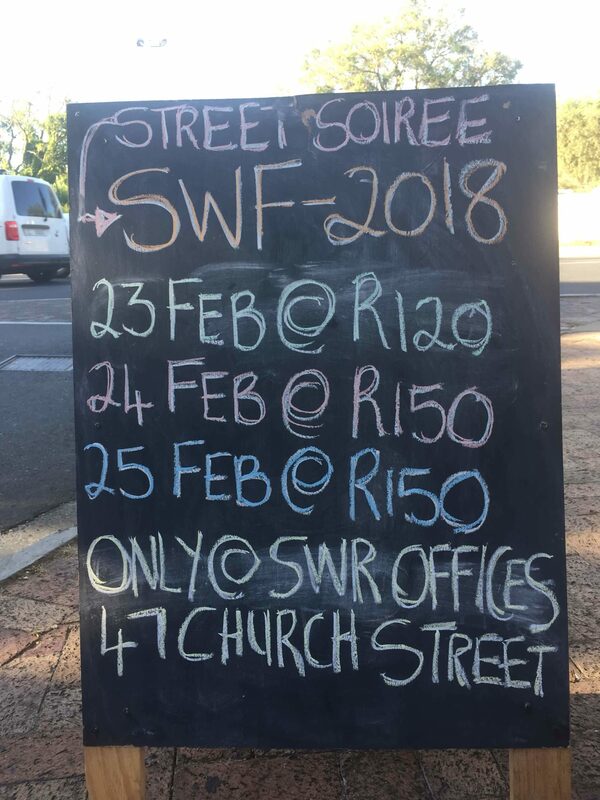 Somewhat to my surprise, I hadn’t heard of the Street Soirées that are being held in Stellenbosch during the summer months. 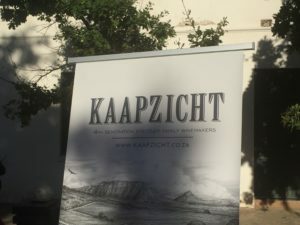 Such is the power of social media that I saw the event posted on Face Book and so decided to take a look. 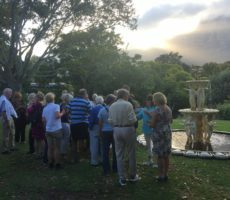 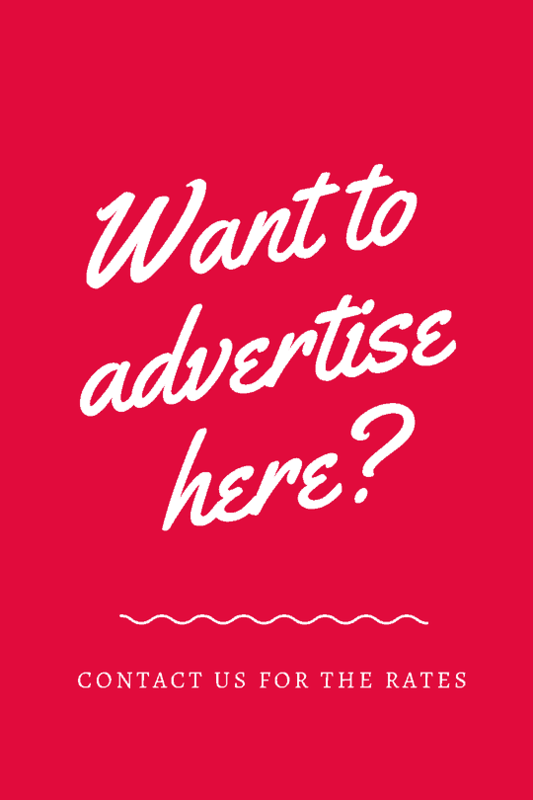 This season started on 13 December and runs through, from 6.00pm to 8.00pm on alternate Wednesday evenings (weather permitting), until 21 March. 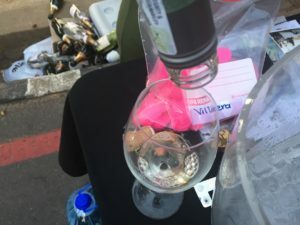 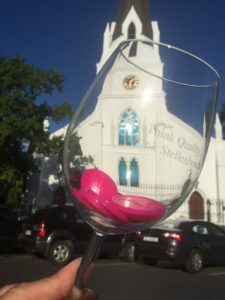 The event costs just R100 per person for a tasting glass and 12 tasting tokens. 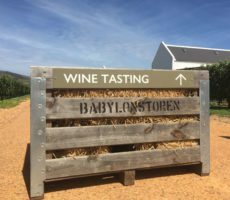 Children are welcome too. The mid-week soirées are held in Drostdy Street (just off Church Street) in the heart of the City, which is really convenient for socialising with friends after work, for tourists, students or, like me, visiting from Cape Town. 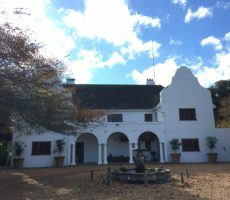 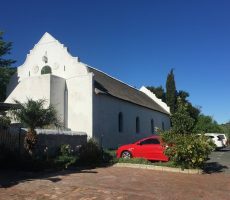 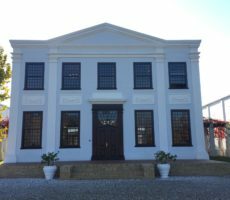 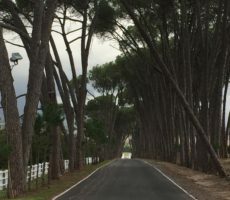 Drostdy Street is next to the Stellenbosch Wine Routes’ offices, who manage the event, which is closed to the public for the duration. 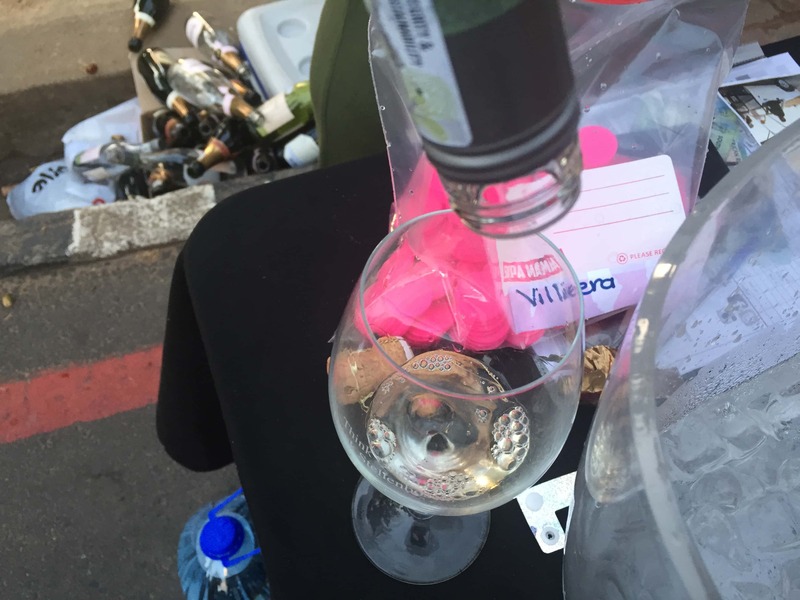 Parking nearby was no issue and I arrived right on time for the start at 6.00pm. 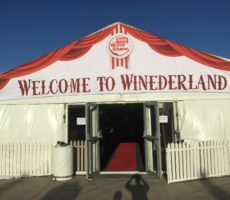 I could see how popular it was going to be as there was already a queue for entry. 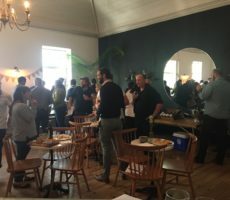 This surge soon dissipated to a steady stream of eager drinkers. 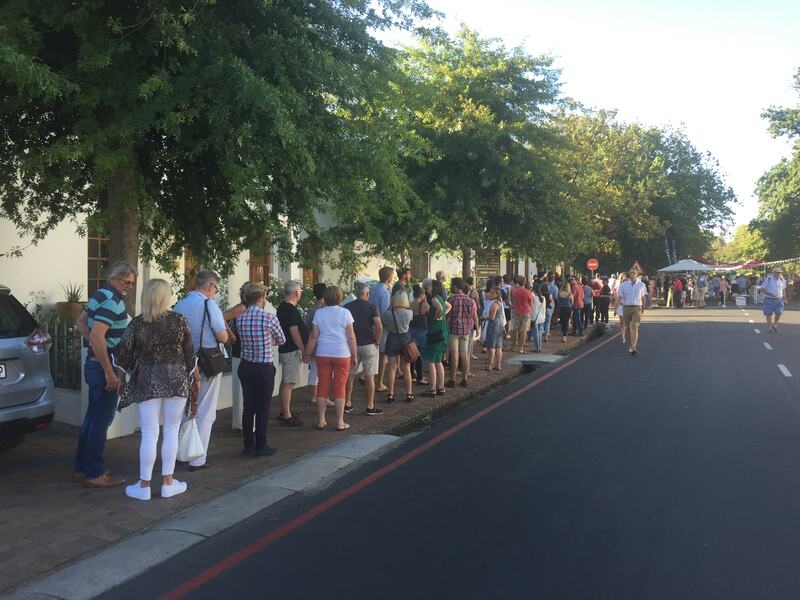 I am told that 650 people were planned for the evening but would not be surprised if there were many more. 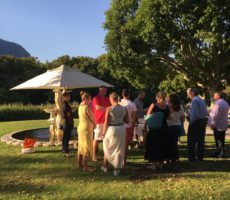 I met people from all walks of life: tourists from Holland and Switzerland, locals, Stellies students, and Capetonians like myself. 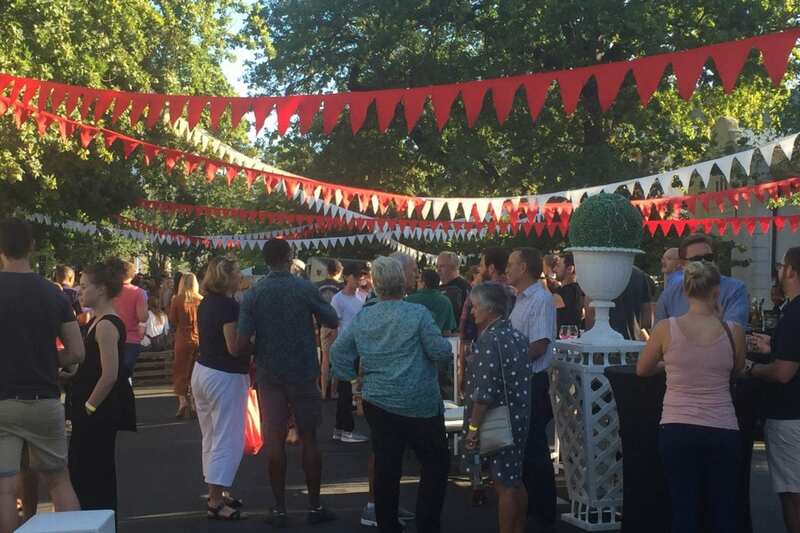 It was already buzzing as I walked under the (suitably wine coloured) red and white bunting in the warm summer evening sunshine. 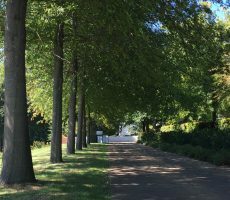 I walked from one end of the street barrier to the other, some 250 or so metres. 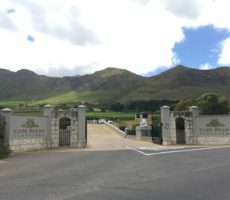 I saw that entry was possible at the far end too so that’s a good tip if you arrive and there’s a long entry queue or you’re unable to park as close as you want to. There was a small live band playing blues music that livened up the already party atmosphere. 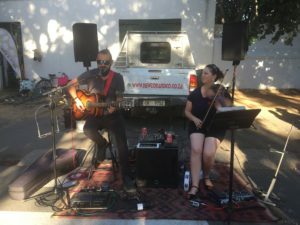 Later, children were dancing freely in front of the band, safe from traffic and other distractions. 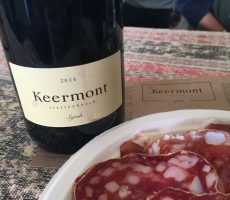 The soirée had stalls from 21 wine producers and 8 food outlets. 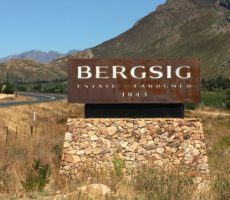 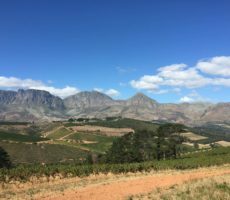 The vineyards were clearly from the Stellenbosch Wine of Origin District. 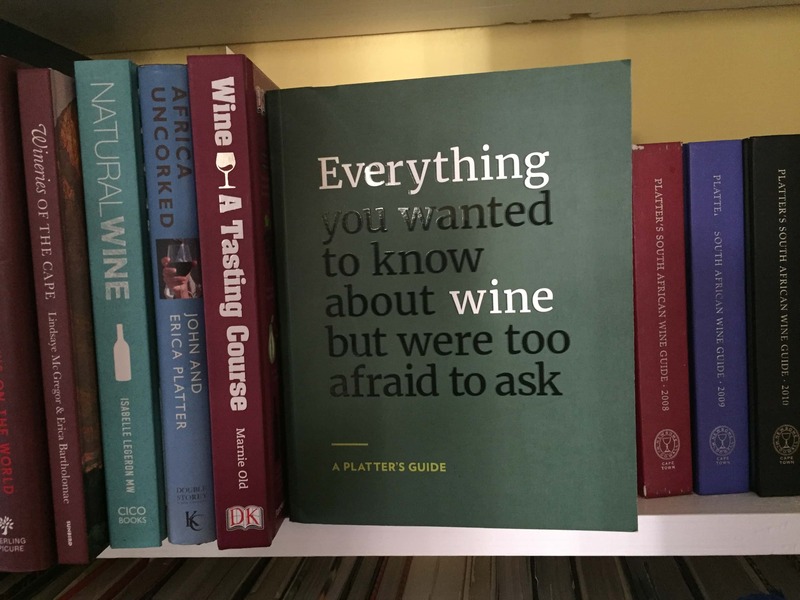 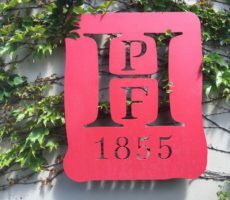 As ever, there are those whose wines that I knew and knew well (I had tasted at Kaapzicht and Boschkloof just a week ago; at Ken Forrester, Avontuur, Neethlingshof and Lanzerac previously). 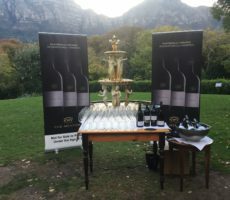 The beauty of events like the Soirée is to be able to taste wines from wine farms that I was unfamiliar with and so I concentrated on those, notably Deux Frères, Fleur du Cap, Knoerhoek, Louisvale, Middelvlei, Stark-Condé, Stellenbosch Vineyards, Tamboerskloof, Villiera, Vriesenhof, Welmoed and Zonnenbloem. 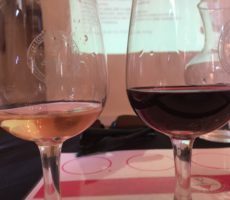 Wines of all styles, cultivars, and for every taste were represented, from MCC/sparkling to white to rosé to red. 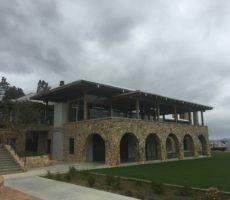 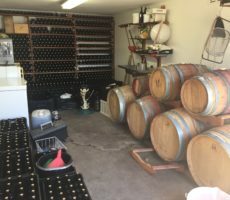 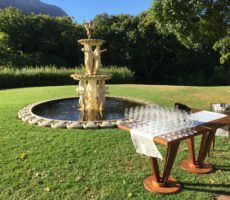 Each soirée hosts a different selection of vineyards which means that one can return to successive events and taste different wines on each occasion. 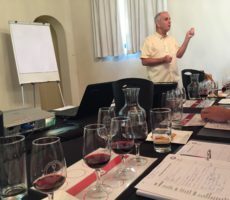 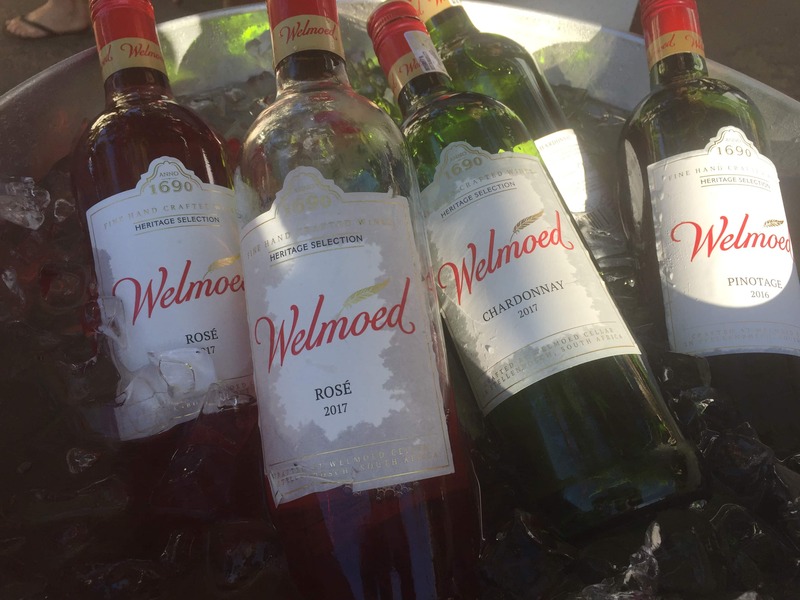 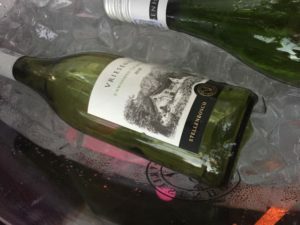 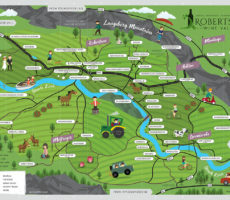 There are about 200 Stellenbosch wine producers so little chance of repeat tasting. 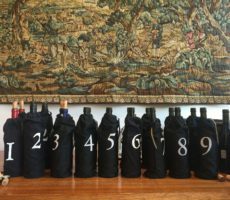 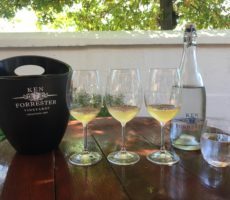 I wasn’t given an entirely free ride as my partner tested me with a ‘blind’ tasting of the Tamboerskloof wines. 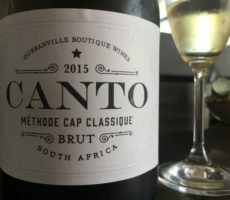 I guess that between Cape Wine Academy exams and my Thursday evening Tasting Group meetings (suspended over the Festive Season and until the end of harvest) I have become rather lazy. 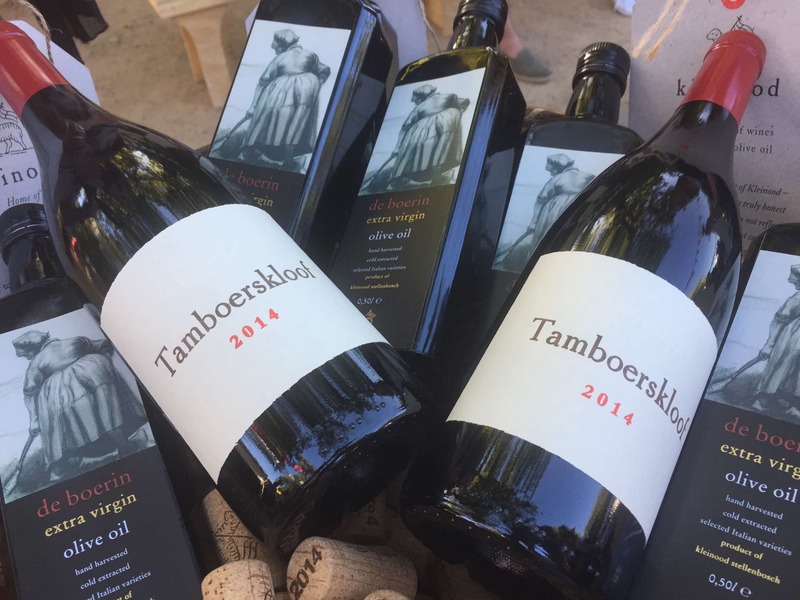 Nonetheless, I was pleased to have correctly picked out the Tamboerskloof Viognier (not as typically ‘oily’ in texture as the cultivar is known for) and the Syrah (Old World style and hence not a Shiraz, even though the same grape) and their vintages within 1 year. 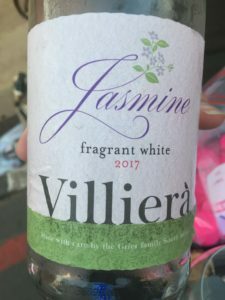 Later, I tasted the last of the Villiera Jasmine white blend and picked out the Muscat (Moscato) and Gewurztraminer. 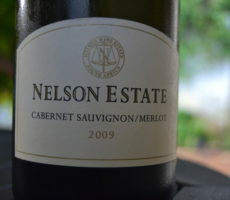 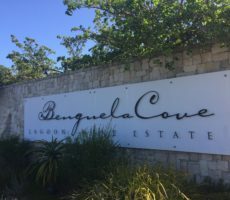 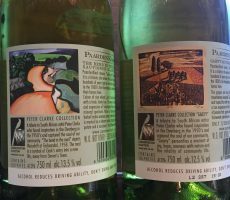 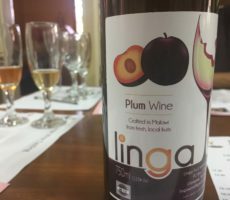 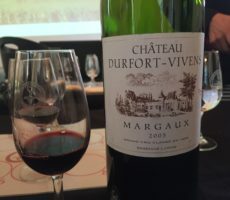 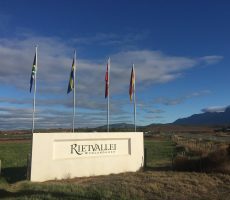 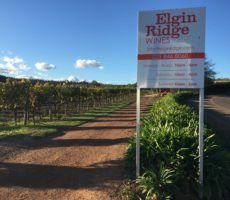 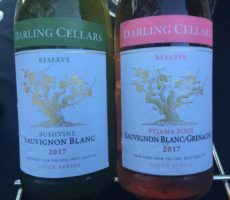 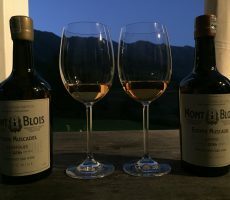 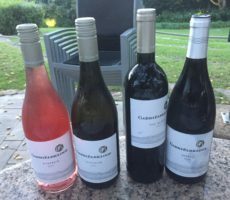 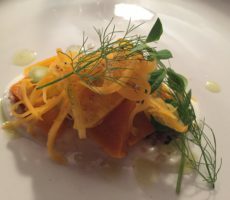 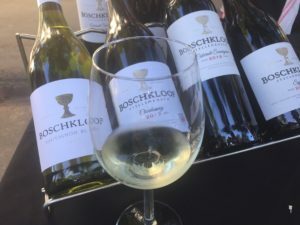 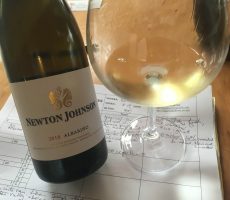 I thought the third cultivar was Sauvignon Blanc – to give the wine its acidity – but it was Riesling (the wine did not have the distinct ‘kerosene’ aromas of a pure Riesling). The soirée became progressively busier throughout the 2 hours. 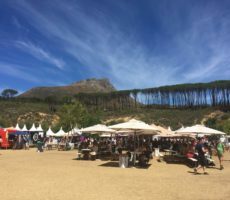 There was limited seating in between the rows of wine stalls and enough for those who needed it. 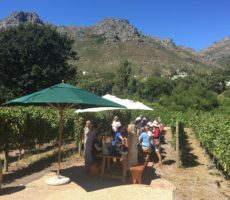 Many more people were sat on ledges in front of the adjacent shops. 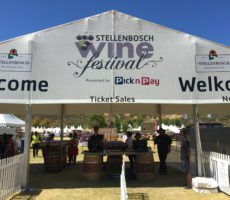 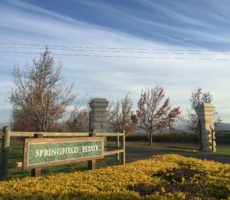 Indeed, it might be better in the future, and especially if the event attracts a bigger crowd, to place all seating outside the wine stands to leave the central section free for wine-drinkers. I chose to eat halfway through as the wines were feeding my hunger. 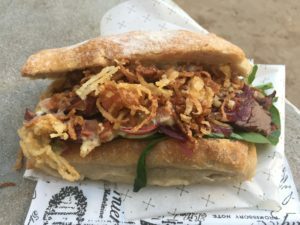 I had a delicious slow-cooked, char-grilled beef brisket ciabatta roll complete with Karoo Swiss cheese, pickles, tomato, rocket, crispy onion and rainbow radish filling (and 2 other fillings of my own choice) from the Lanzerac chefs. 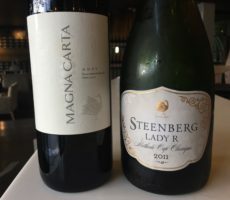 It was a mouthful in more ways than one and great value at just R60. 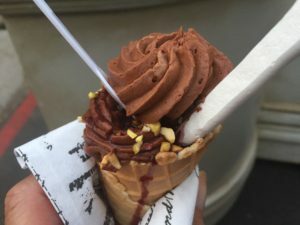 Later, I enjoyed a sweet dessert cone (R40) that looked like dark chocolate ice cream with Pinotage and cherry compote, meringue stick and pistachio crumble. The ‘ice cream’ was a rich chocolate mousse that melted only in my mouth and not in the evening heat. 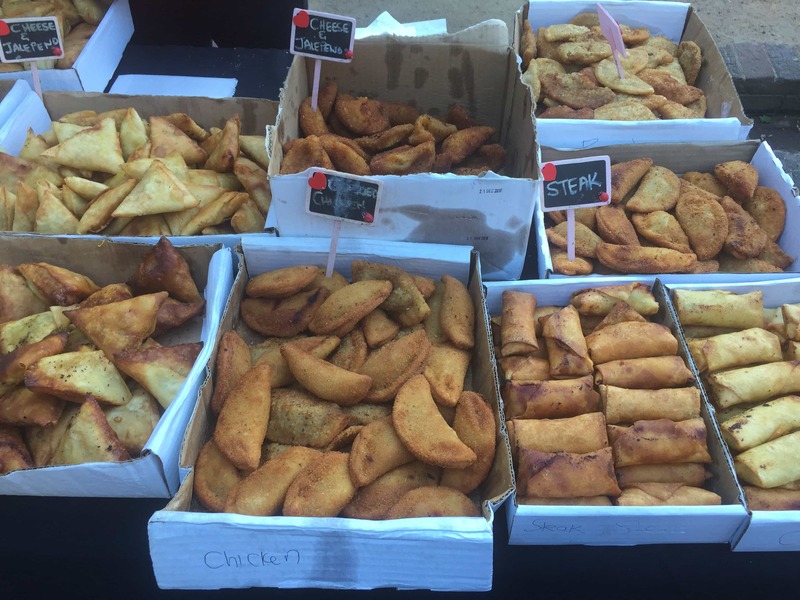 Other food trucks and stalls served the usual mix of burgers, tacos, fries, samosas and spring rolls. My partner is vegetarian and she found it hard to find enough choice from the various outlets. 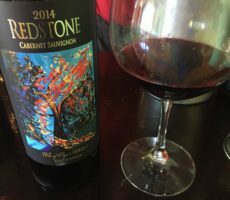 She ended up eating a cheese and vegetable taco at reduced price that was not on any menu. 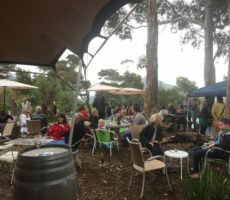 This is one area where the Soirée could improve, with more food suitable to those with other than omnivore or carnivore diets. 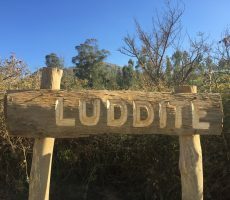 Another area for improvement is the signage for toilets. 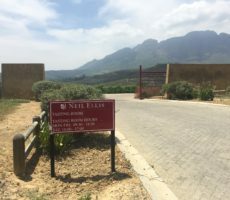 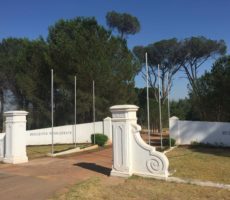 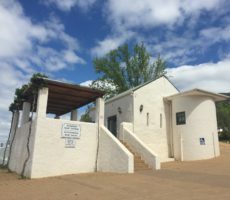 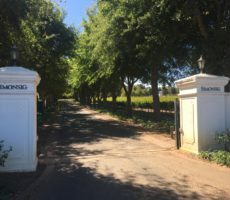 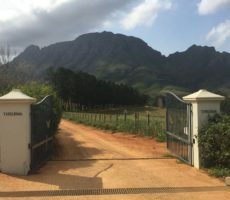 I saw none but the security guard was well briefed and directed me to the Stellenbosch Wine Route office where there were 2 toilets at the rear of the property. 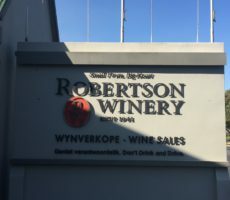 Closing time at 8.00pm came all too soon. 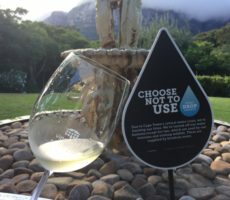 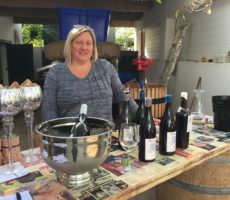 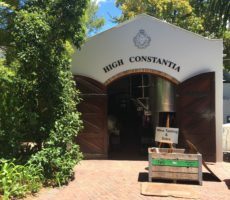 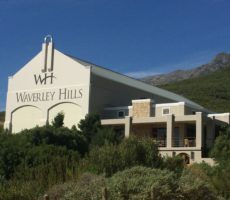 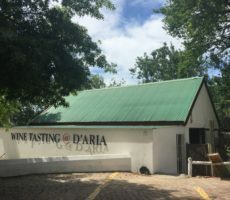 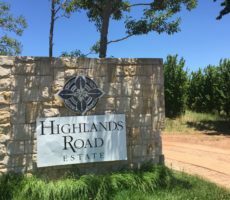 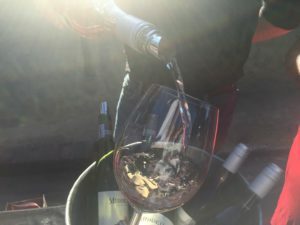 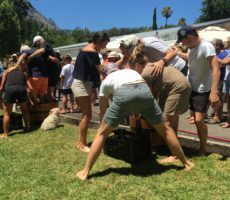 By then, some wineries had run out of wine – which, frankly, should not happen when spending R100 for 2 hours of entertainment and drinking – and were packing up or even almost gone. Queues for those that still had wine were as wide as deep as frantic participants were trying to use their last tokens and drink up to the final moment. 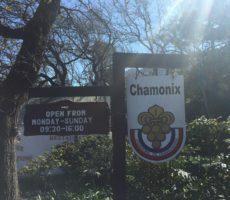 I wondered after if the event might have been better if 3 and not 2 hours long. 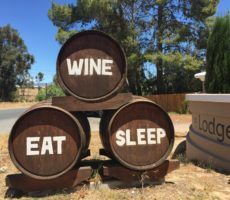 It could either start at 5.00pm or end at 9.00pm. Would that have been any better? 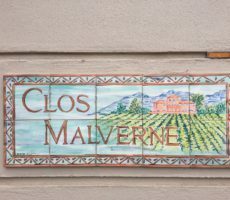 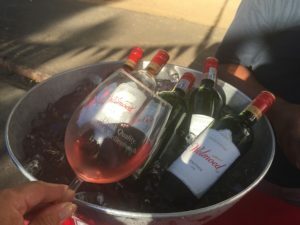 Would ticket price need to be increased to cover the additional wine used? 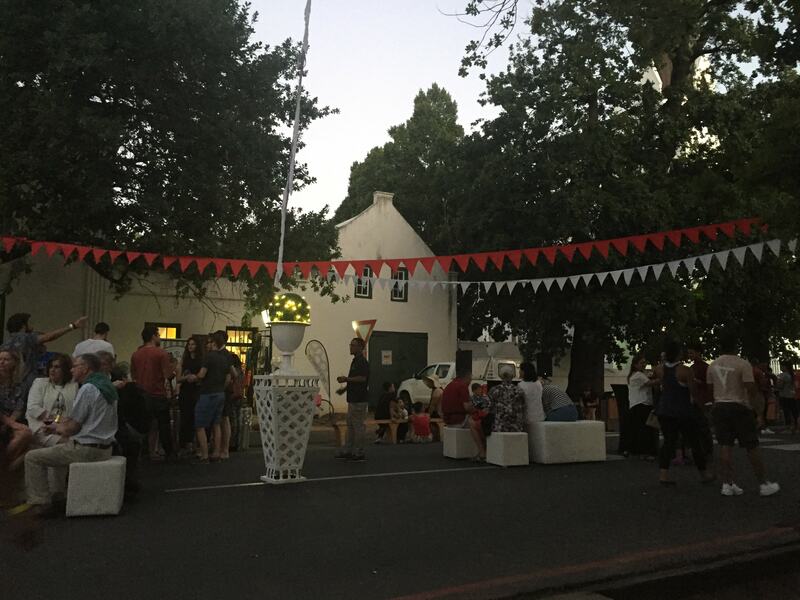 There’s the longer street closure, extra attendance by medical support staff, the SAPS and more to consider too. 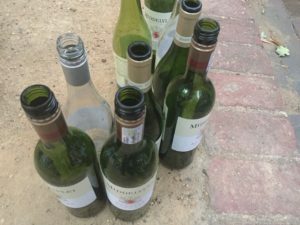 There’s also benefit from a drink-drive perspective – serving portions were tasting-quantity-plus and my partner drove home after – to keep the event shorter rather than longer. 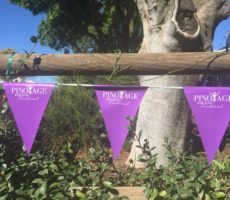 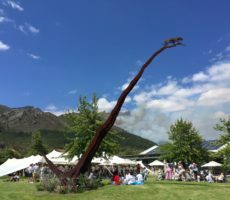 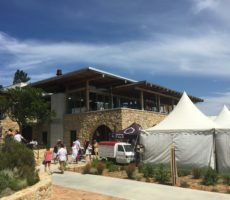 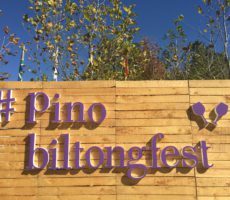 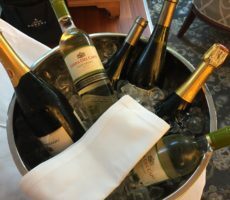 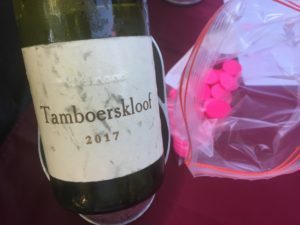 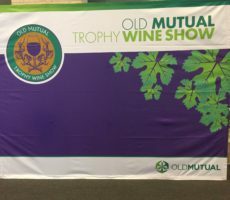 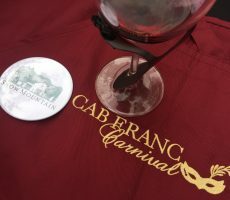 On balance, the event organisers have got it right – save for my suggestions about neck-holders for glasses, seating positioning, vegetarian food options, toilet signage, and quantity of available wines from some wineries – and 2 hours is sufficient. 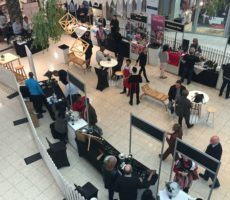 There’s an energy that comes from the pop-up style of event that is over almost as soon as it seemingly starts. 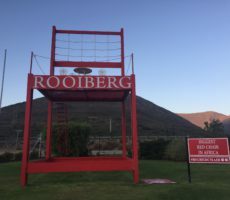 This would be lost if it became more permanent. 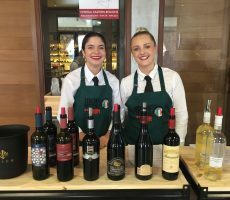 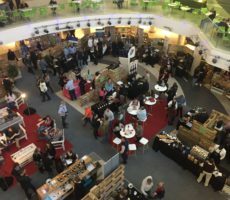 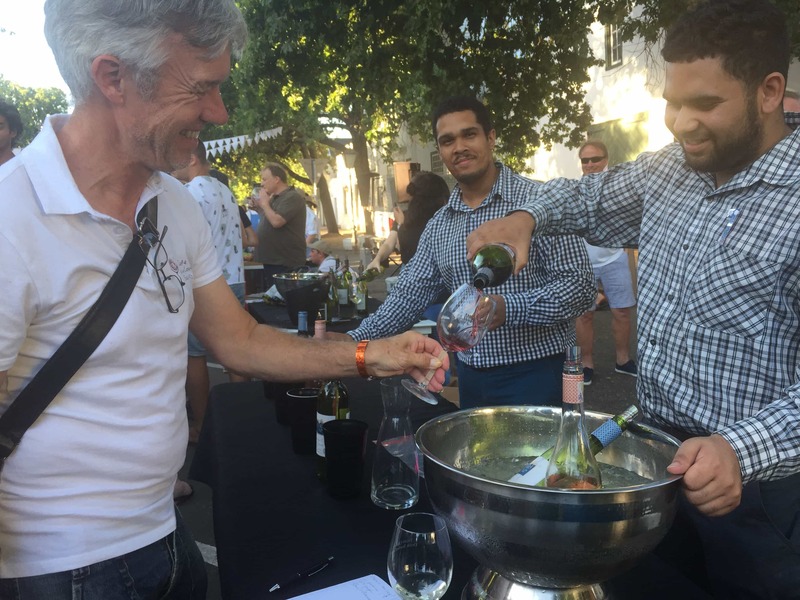 There’s clearly a market too judging by the numbers attending and also at the tasting festivals in Tyger Valley and Cape Gate malls. 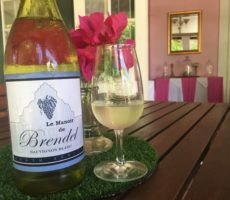 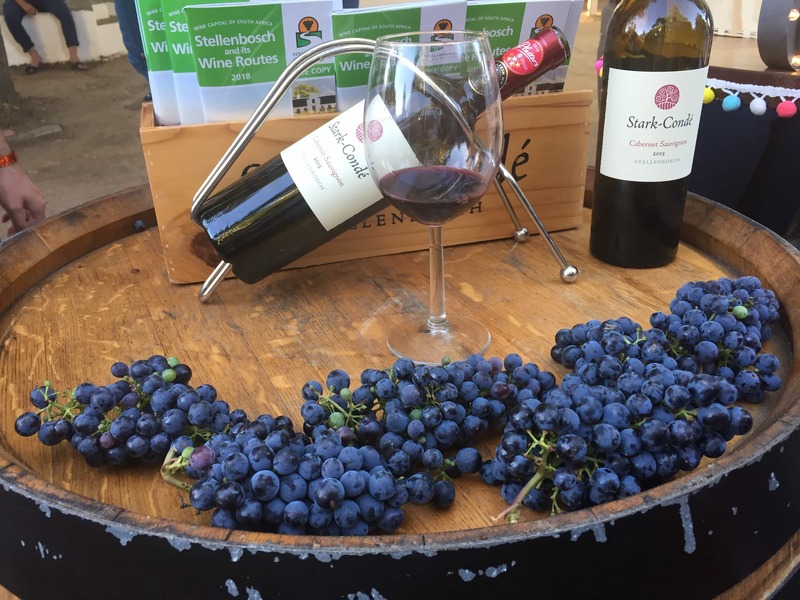 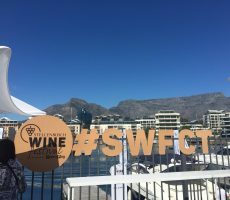 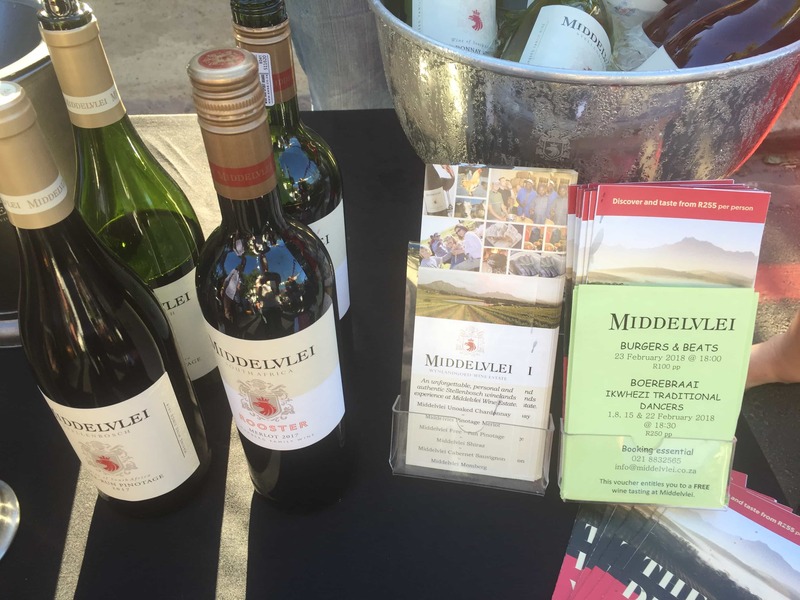 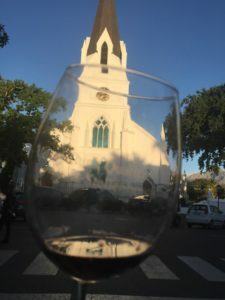 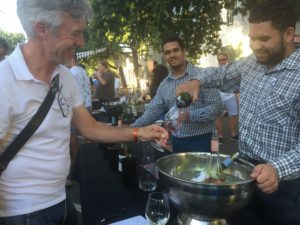 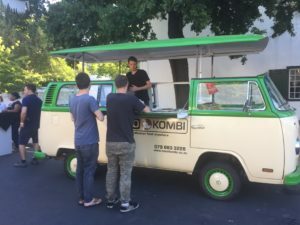 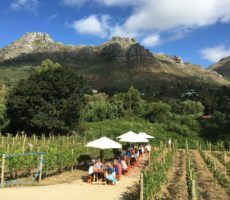 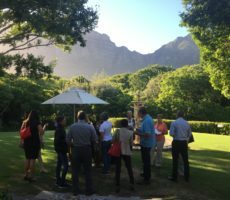 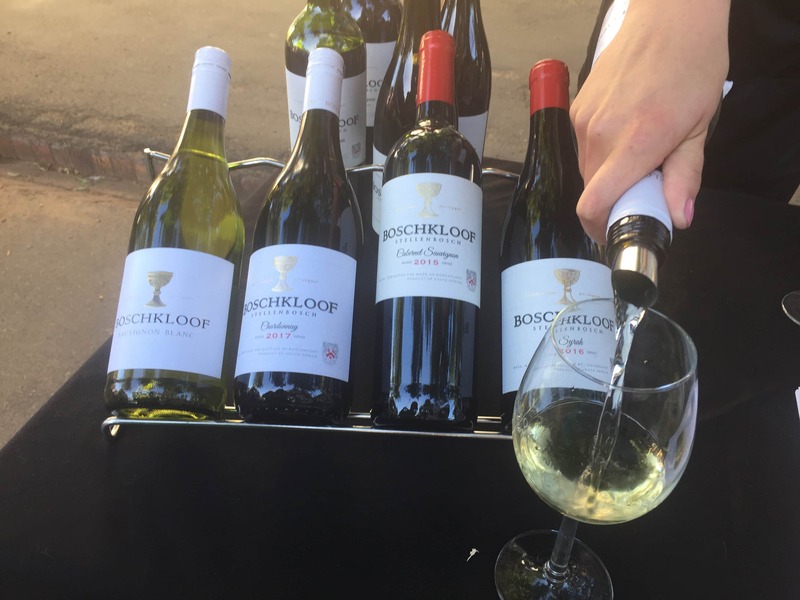 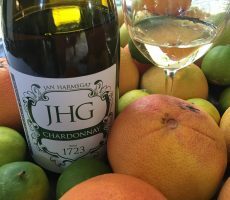 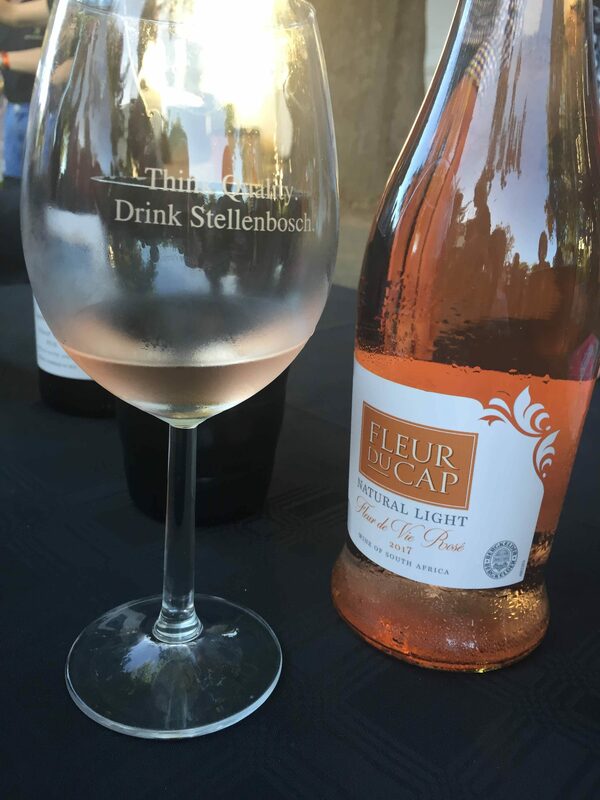 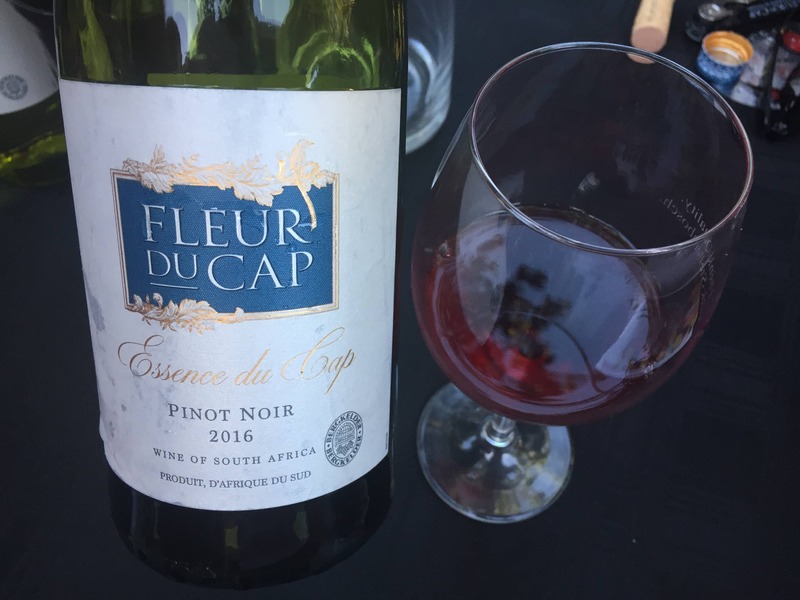 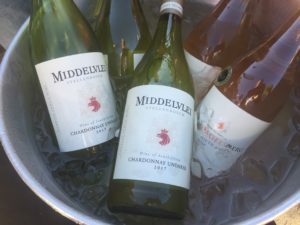 The regular summer wine-with-street-party concept would surely do well in many other cities: Franschhoek, Somerset West, Hermanus, Paarl or even Constantia Village in Cape Town. 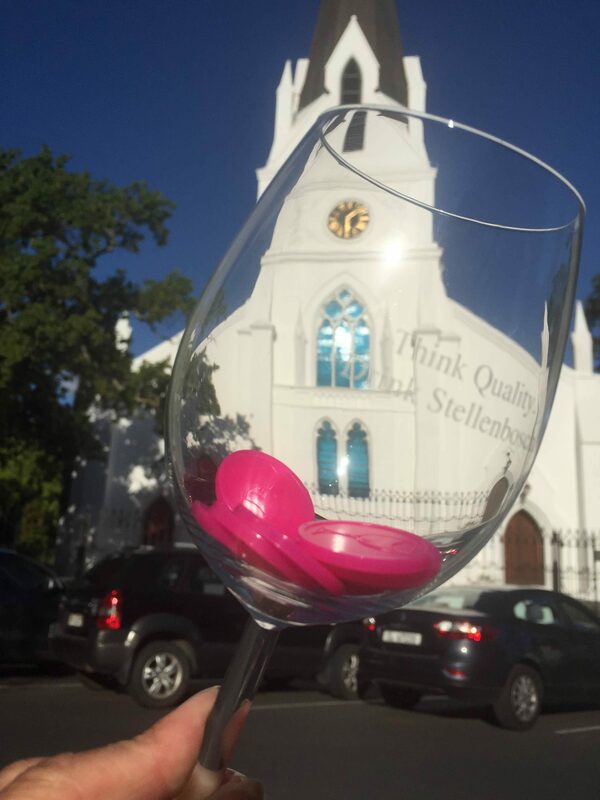 Meanwhile, travel to Stellenbosch for the Street Soirées. 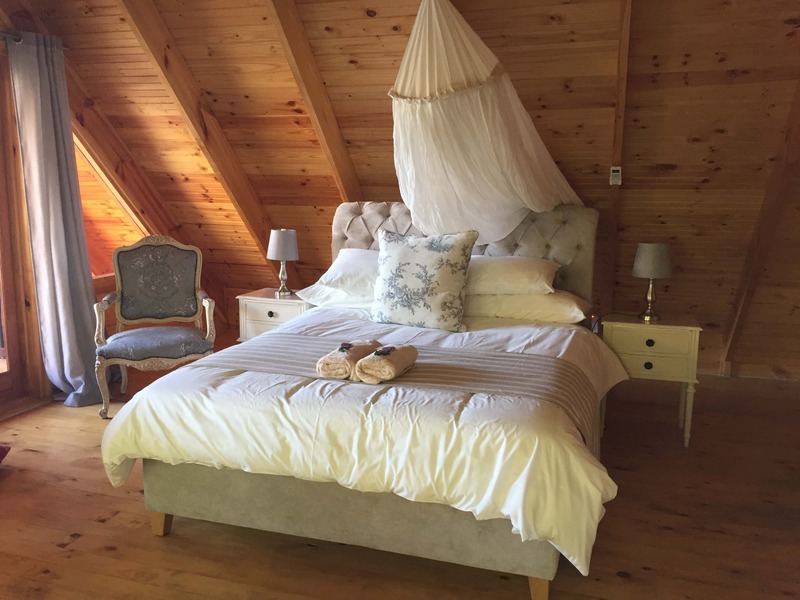 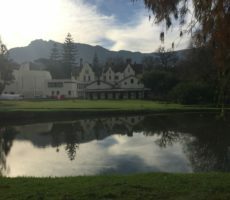 Stellenbosch is closer than you think even if you need travel. 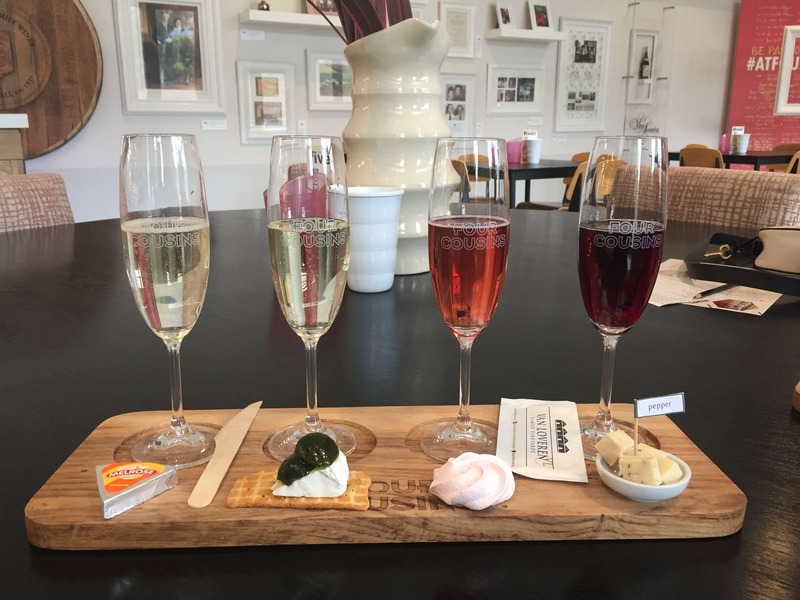 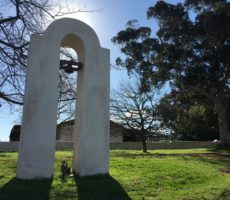 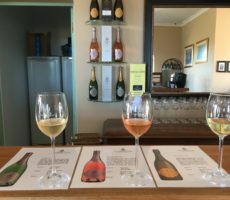 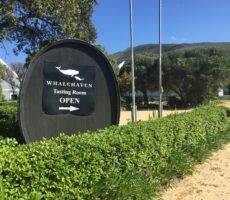 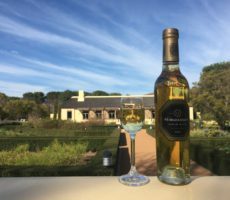 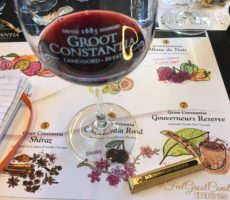 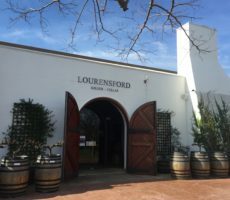 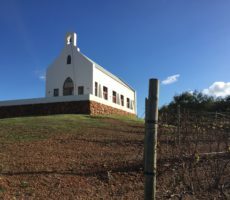 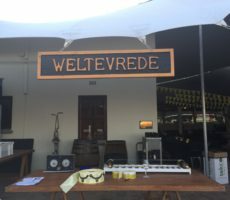 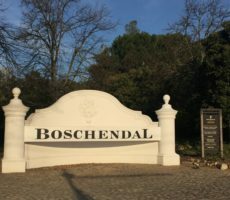 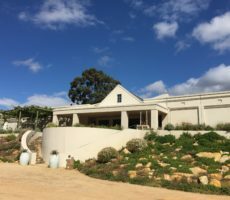 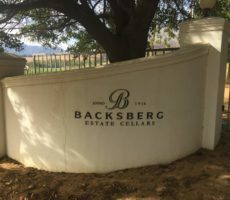 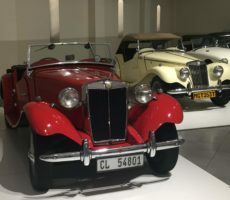 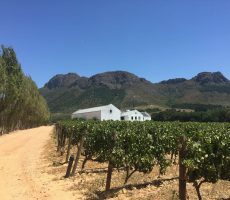 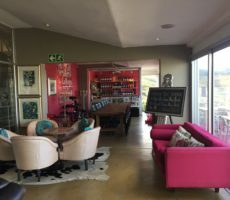 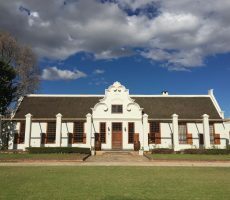 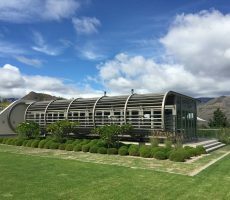 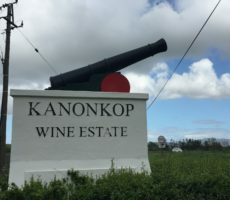 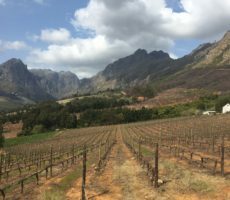 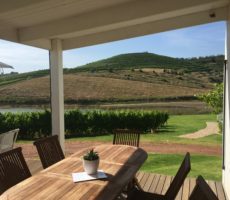 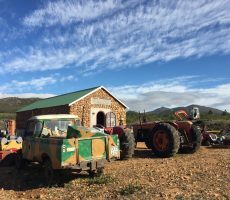 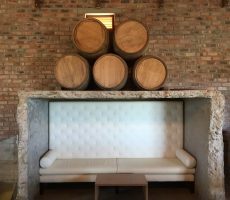 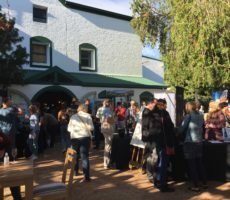 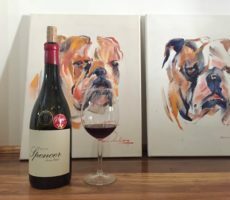 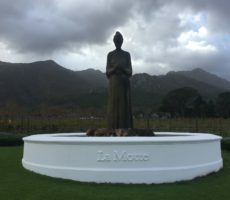 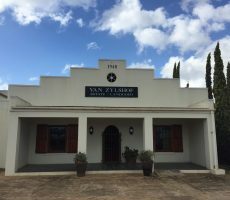 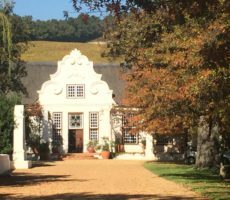 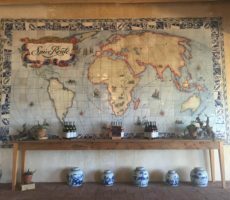 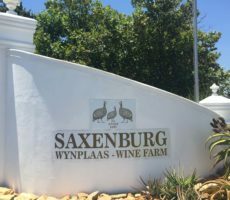 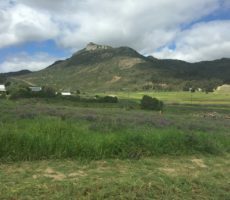 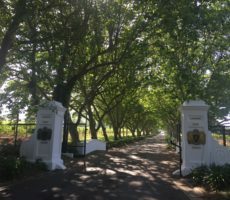 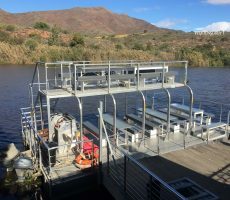 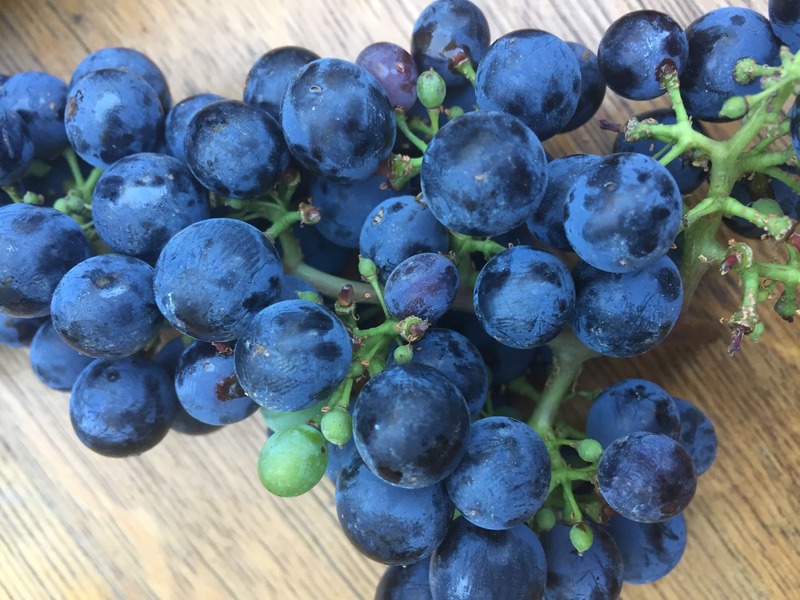 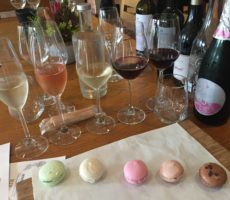 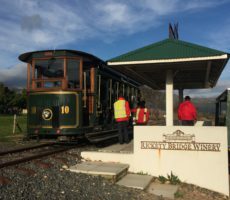 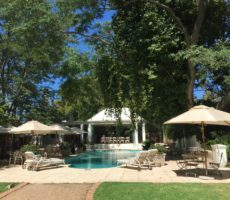 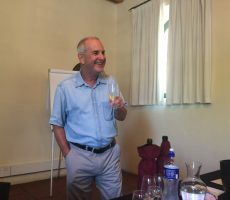 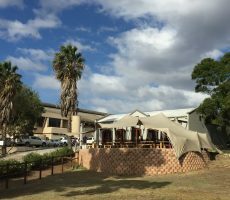 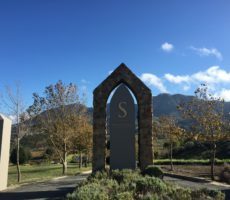 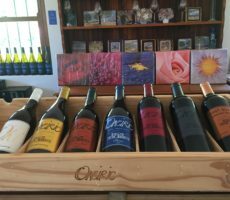 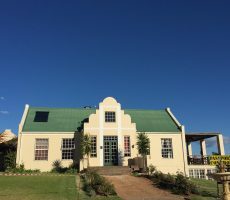 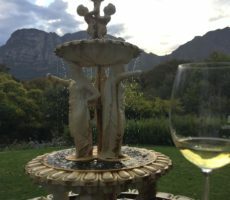 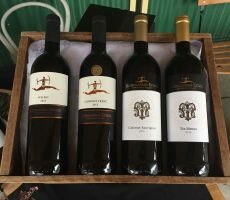 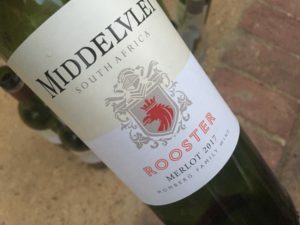 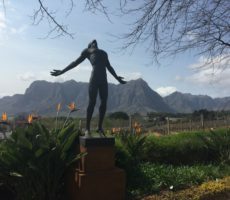 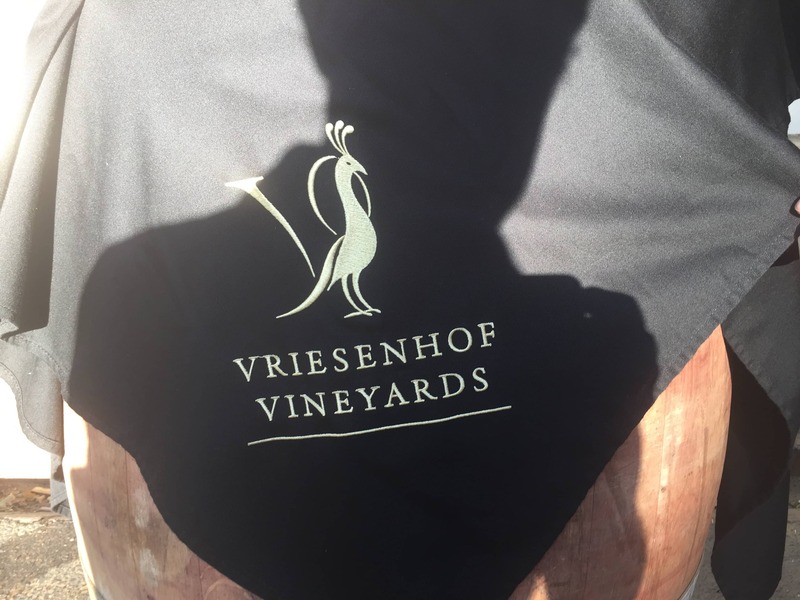 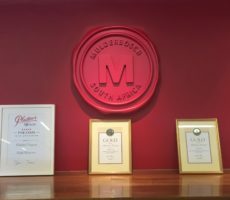 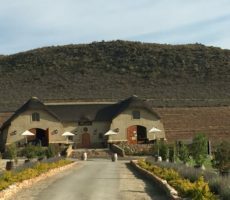 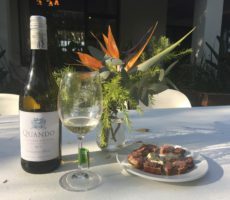 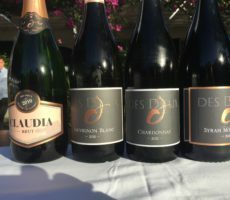 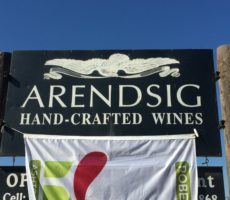 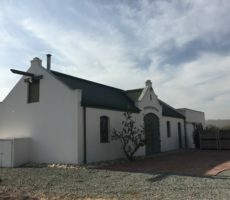 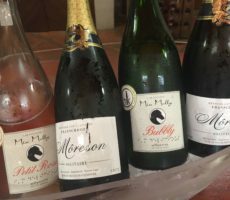 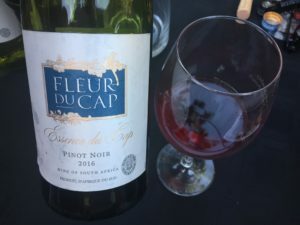 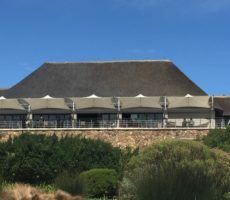 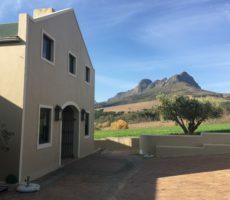 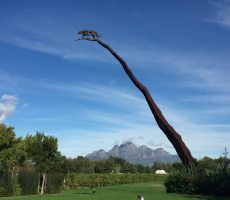 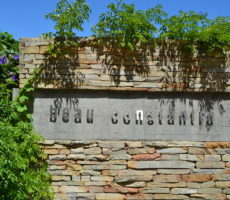 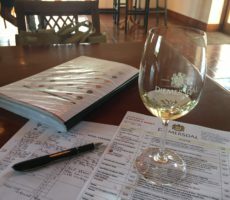 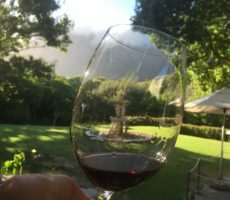 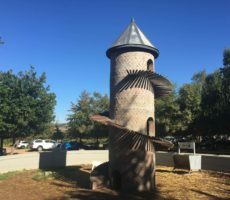 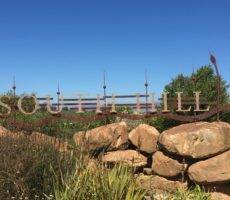 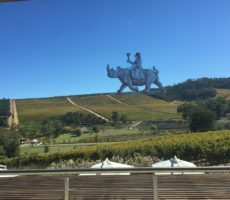 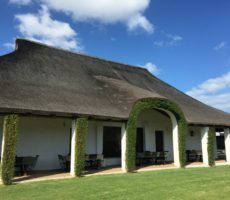 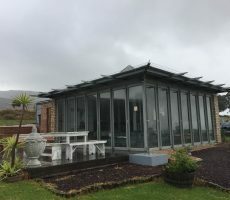 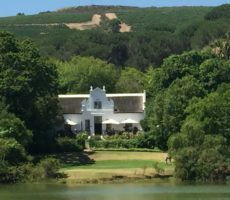 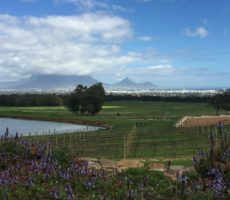 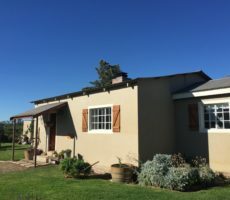 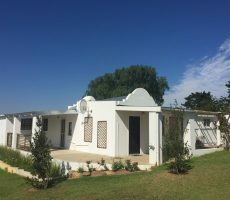 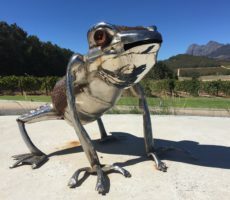 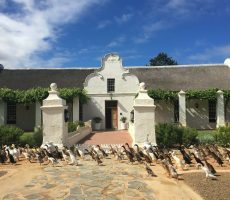 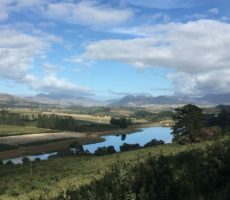 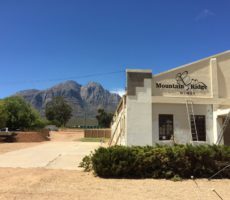 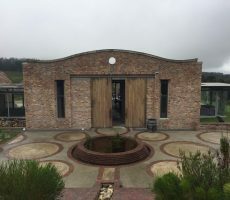 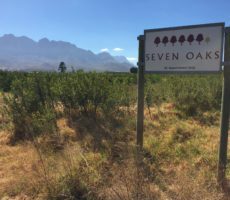 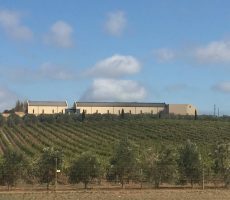 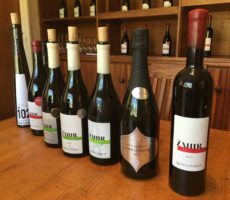 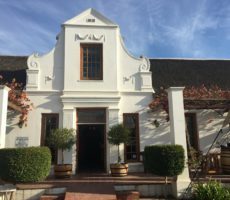 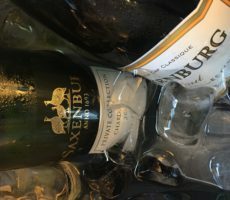 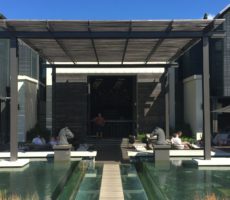 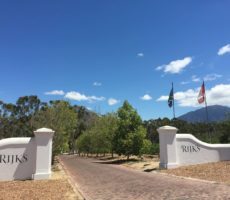 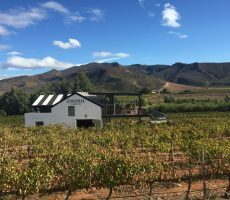 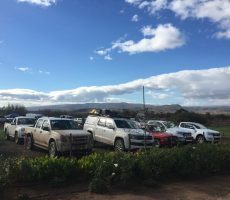 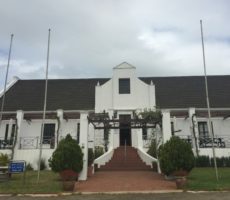 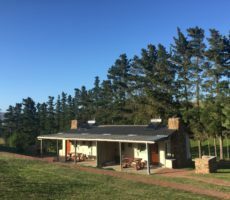 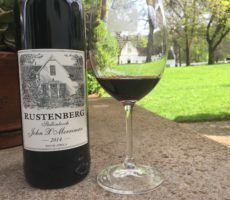 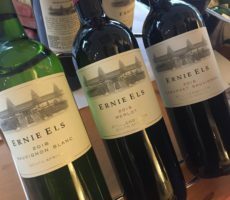 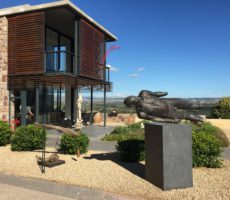 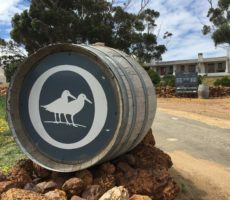 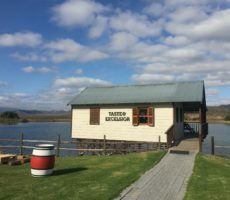 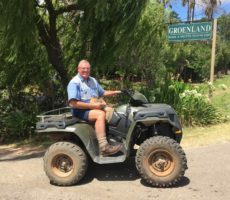 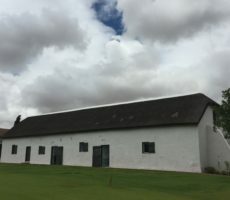 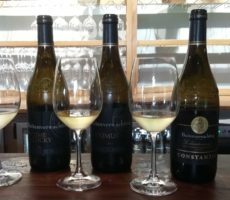 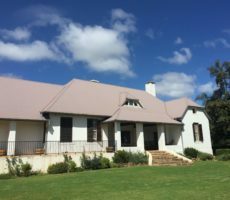 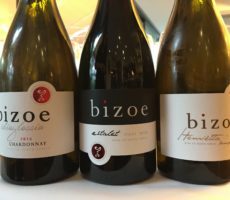 There was a veritable A to Z of local wines for tasting – literally so, from Avontuur to Zonnenbloem – and I discovered many vineyards that I shall make a point of visiting to taste their full selection of wines.